﻿ Gareth Bale: "Cristiano Ronaldo is my idol in football"
31.12.2012 » Gareth Bale: "Cristiano Ronaldo is my idol in football"
There are not many players in the game who have had the honor to be compared with the former Manchester United star, Cristiano Ronaldo. Tottenham's Gareth Bale has been impressing everyone this season and didn't hide his admiration for Ronaldo, in a quick talk he had with ESPN this past weekend. Gareth Bale is currently one of the most dangerous and gifted left wingers in European football. The 23-years old Welshman is Tottenham's biggest asset ever (reportedly valued at 40 million pounds) and continues being strongly linked with a move to either Barcelona or Real Madrid. A few days ago, Bale has given a few words to the ESPN network and admitted that his biggest reference and idol in football is the Portuguese superstar, Cristiano Ronaldo. 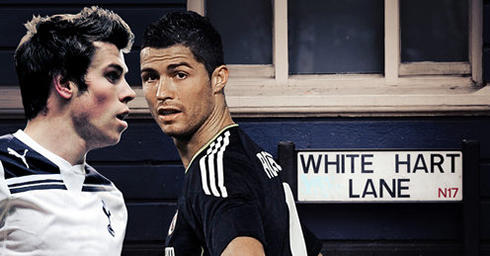 The two wingers have faced each other for numerous times in the Premier League, back when Cristiano Ronaldo still played for Manchester United, but have also met on the pitch in 2011, in two UEFA Champions League ties between Real Madrid and Tottenham. Harry Redknapp once said that when Gareth Bale is at his best, he simply is unstoppable and that he would improve any team in the World, including Real Madrid and Barcelona. Having in mind how prone Real Madrid are in terms of playing in a counter-attack style, as well as how fast the Welshman is, there seems to be no doubts that Bale would fit like a glove into the Merengues roster. However, a somehow prohibitive price tag and the abundance/quality of players to play on the attacking wings at the Bernabéu reign, might disencourage Real Madrid to make a move for Tottenham's key player, at least in a near future. Gareth Bale keeps improving season after season, and this year he has already equalized his best goal-scoring season record in the Premier League, with 9 goals out of 16 matches. He scored his first hat-trick in the competition just a few days ago against Aston Villa and he's just 3 goals away from setting a new personal goal-scoring record across all competitions, within a single season. 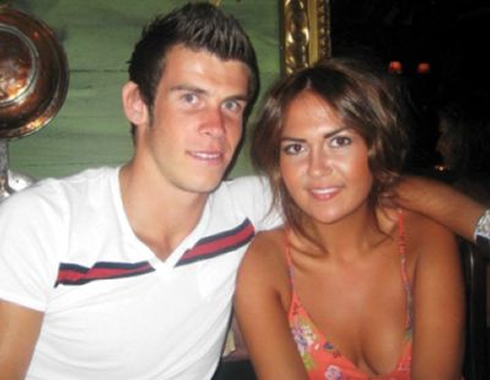 He got his first international appearance for the Welsh National Team in May 2006, when he was only 16 years old, becoming the youngest player ever to play for Wales. In a quick interview granted to ESPN this past week, the former Southampton player was asked about who is his idol in football. The talented winger confessed to be a deep admirer of Real Madrid's Cristiano Ronaldo, someone who he looks up to and whom he attempts to mimic and emulate on the pitch. Gareth Bale: "Things are very different in football these days. Players have to innovate and always be ready to try something new, otherwise, we just end up being predictable on the football pitch. Just look at Cristiano Ronaldo, a player who never misses an opportunity to bring on something new to his game and who is always bold on the pitch", kindly remarked Tottenham's sensational left winger. Gareth Bale: "For that reason, when I'm asked to pick my favorite player my choice always goes to Cristiano Ronaldo. He is my idol in football! ", confessed the Welsh international on his brief talk to ESPN, as he continues to impress the top clubs in Europe with his consistency and high level performances in the English Premier League, in a Tottenham Hotspur jersey. Even if Real Madrid end up signing Gareth Bale over the next transfer market window in January, the Welshman would still be unavailable to help his new side in the two clashes between Real Madrid vs Manchester United, scheduled for February 12 (Santiago Bernabéu) and March 5 (Old Trafford). 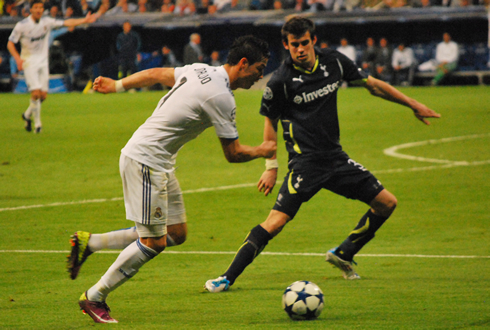 The reason for that to happen is that Bale has already played for Tottenham in the UEFA Europa League this season. 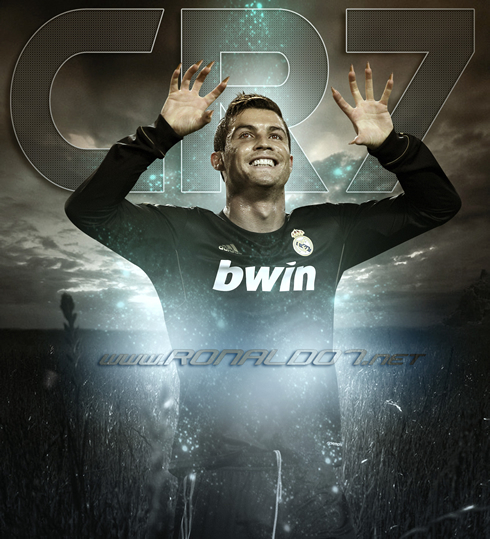 Cristiano Ronaldo next game for Real Madrid will be against Real Sociedad, for the Spanish League 'La Liga', on January 6, 2013. You may watch Real Madrid vs Real Sociedad, Barça vs Espanyol, Wigan vs Manchester United and Southampton vs Arsenal, all matches provided from our live football section.